Ayurveda weight reduction packages or Ayurveda Slimming packages offered by Karma Kerala designed to help you manage excess weight and keep your body and mind young. Obesity has become the epidemic of our time: the result of poor diet that contain too many fats and sugars as well as an increasingly sedentary lifestyle that results in our bodies storing calories rather than using them. People who are obese or overweight suffer from both poor health as well as emotional problems associated with low self-esteem and self-confidence. The don't feel good about themselves and so start a vicious cycle where they may resort to food as a comfort. We know that managing obesity is extremely hard because it requires you to both change physical habits as well as mental. 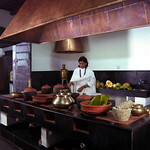 Our ayurveda packages are not a hack. We cannot simply resolve your problems in a few weeks, but we can start a journey that returns you to better health. Ayurveda is not like western medicines: it is fundamentally concerned with maintaining good health or what is sometimes called "wellness" rather than simply curing you of conditions as they arise. It takes a holistic view of the person rather than only being in interested in a single condition in isolation. The experience of Ayurveda is different as a result and often requires soul searching on the part of the "patient" as they reflect on the choices that they have made or are making and what they mean. Blissful location to recalibrate your life and body! 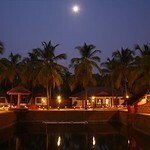 21/28 day retreat beside the Arabian Sea that specifically focuses on weight management issues. 2 hours from Cochin. Our weight reduction programme is designed to stimulate weight loss and recalibrate your body. Available at different budgets and in different Ayurveda centres depending on your requirements. Read detailed description for information. Extended residential treatment plan using Ayurveda techniques to address weight and obesity issues. Ayurveda programme in South Kerala dedicated to weight reduction that spans 14 days and provides the basis for a continuous process of body management and stabilising your weight. Specific diet during the treatment forms one of the essential parts of the programme. This programe is designed to help reduce body weight. A treatment - Sthoulyagna Chikitsa - plan that works by increasing metabolism to burn off fats - essentially by burning excess Kapha. 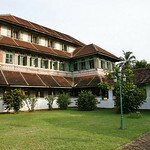 14-28 day plans at Kalari Rasayana near Kollam.